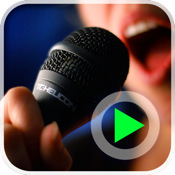 You must be looking for the best voice looper for iPad. Well here have compiled a list of some of the best voice looper apps. Whether you a beatboxer, singer, or just like playing with your voice these apps will help you take your performance to the next level. Sing, Loop, Share. What if you could create something musically amazing with just your voice? What if you didn’t need musical instruments, sheet music, or complicated recording software? What if you could create an entire song with your voice, simulating bass lines, melodies, rhythms and sound effects, all in one pass, without ever stopping to think about it? At the heart of VoiceJam is a powerful audio looper. An audio looper works by recording sounds you make while playing them back in a repeating loop. The cool thing is that as the loop repeats, you can keep layering new sound on top of it. You can harmonize with yourself, add rhythms with your voice, record the sounds of random objects in your life – the possibilities are endless. That’s just the beginning. VoiceJam was designed from the ground up to be a live performance tool. You’ll be able to perform and record an entire masterpiece from scratch using only the sounds you can create with your voice or with the objects in your world. The length of your audio recordings are only limited by the storage available on your device. – Get started right away with an easy to follow audio tutorial, walking you through all the important features. – Instantly record and layer to 6 separate loops, jumping between them at will. 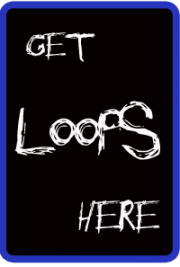 Loops can be up to 60 seconds long. – On-the-fly undo, reverse, loop 2x, loop mixing, and instant loop re-triggering. All features can be used live without stopping the action. – Record your entire performance (looping, singing, and audio FX) to a single audio file and share it online using SoundCloud. – Share audio with any 3rd party App that supports the AudioCopy open standard. Fiddlewax Yellow is a realtime vocal harmony generator, effects processor, and audio looper all rolled into one. Create your own music from the ground up using just your voice and whatever is around you. Realtime harmony lets you create and layer sounds as fast you can think of them. Unleash your imagination and build awesome audio tracks in seconds. Unlike other pitch shifters which often quantize and auto-tune notes relative to a key, Fiddlewax Yellow builds polyphonic full-spectrum harmonies. Slide and bend the pitch of your voice and Yellow will seamlessly follow along. Yellow lets you make music whenever the inspiration strikes. You will need headphones to record, though, so be sure to have some handy. • Realtime 3-part vocal harmony using our very own super fast, polyphonic, pitch-shifting and audio analysis pipeline. Sing and synthesize new sounds and audio textures on the fly. • Built-in effects to add chorus, distortion, reverb, low-pass, and high-pass filters with the push of a button. Quickly transform your voice into other instrument sounds as you play. • Synchronized, auto-expanding looper to layer up to 6 audio tracks at once. Easily start/stop any track and clear tracks individually when you want to overwrite/undo. • Integrated recording function to save and share songs. Send to other installed apps, attach to email, or download later from iTunes when you sync your device. • Low-level core audio implementation makes everything run super fast and robust (built using The Amazing Audio Engine). • Headphone-aware control logic reduces the chance of squeaky feedback while you record. • Great for all experience levels, from beginners to experts. • Precision interface optimized for 10-finger multitouch. 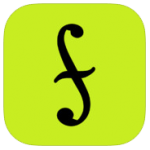 Fiddlewax instruments are designed from the ground up to enable anyone who enjoys music to experiment, play, and create their own songs without formal teaching or instruction. Every aspect of Fiddlewax puts music first. The simple interface helps musicians focus on what they’re creating; there are no ads, faux-wood textures, or frivolous interaction to distract from the creative process. Fiddlewax takes the best of both physical and virtual instruments to create something totally new. Full 10-finger multitouch support and maximum playing area provide for seamless digital interaction, while under the hood, samples are processed and routed as analog signals with variable frequency and timing. Create music with Loopy HD by layering looped recordings of singing, beatboxing, or playing an instrument with a savvy, sophisticated, tactile new looper that totally reinvents the formula. Now compatible with the Audiobus app: Now you can receive live audio directly from other Audiobus-compatible apps. This is a looper that’ll come out to play, but get down to work when you want to get serious. While other music creation apps tend to be either powerful but difficult to learn, or easy to use but limited in features, Loopy doesn’t compromise. Loopy offers a sleek, expressive, instantly understandable interface that beginners can start using effectively straight away. It’s fun, right from the start. More advanced users, however, will not be disappointed by Loopy’s rich feature set, with extra features many other loopers just don’t have. Plus, a sophisticated interactive tutorial system lets users discover Loopy’s more advanced features at their own pace. – Six, nine, or twelve beautifully rendered circular loops, with simple yet powerful controls. – Count-in, count-out and record chaining lets you keep your hands free to play an instrument. – MIDI control, to control Loopy via foot pedal or other controller. – Overdub, to build beautiful, complex soundscapes from many layers. – Support for tracks of any multiple or fraction of a beat, for flexible and expressive looping. – Sophisticated audio or visual metronome to keep you in time – no matter what time signature you choose. – Perfectly synchronized, low latency audio engine. – Import loops from your computer via iTunes, with support for AIFF, WAV, MP3, M4A, CAF and more. – Bring in audio from many other audio apps with integrated audio copy and paste. – Imported loops are automatically fit to your beat, no matter what tempo. – Full stereo audio, with pan controls for each track to create custom stereoscapes. – Fix up timing by twisting tracks around to line up the beat, or make funky sound effects with dynamic time shifting. – Drag a track onto another track to merge tracks, and clear up a space. – Live, dynamic tempo adjustment to speed up or slow down your creations, without altering the pitch. – MIDI clock sync, to play in time with other MIDI-capable devices or apps. – Record whole performances with in-app session recording facilities. – Upload performances or single loops straight to SoundCloud, and post to Twitter or Facebook. – Share audio with many other audio apps with audio copy and paste. – Transfer loops or performances to your computer via iTunes. I hope this helps you find the best voice looper for your iOS device. Please contact me with questions or suggestions.